Just in time for all of your creepy crawly Halloween trick or treaters! 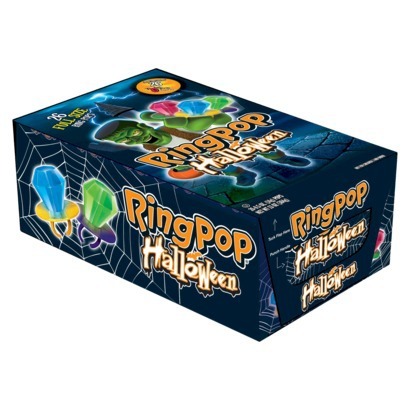 Introducing Halloween Ring Pops . 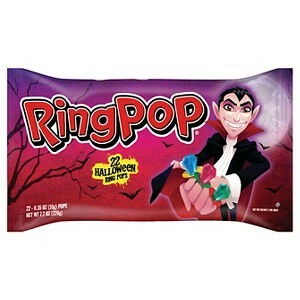 These are the same delicious Ring Pops you are used to all year long, only in an awesome Halloween themed packaging. 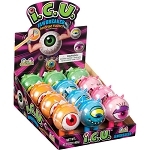 makes a great gift for any Halloween party, goodie bags, and for your Halloween Treat Bowl. 22 Individually wrapped Halloween Ring Pops per order.